Makeup storage is one of my favourite things to buy, I have quite the collection now so finding a storage system that works with the products I have is something I take time with perfecting. 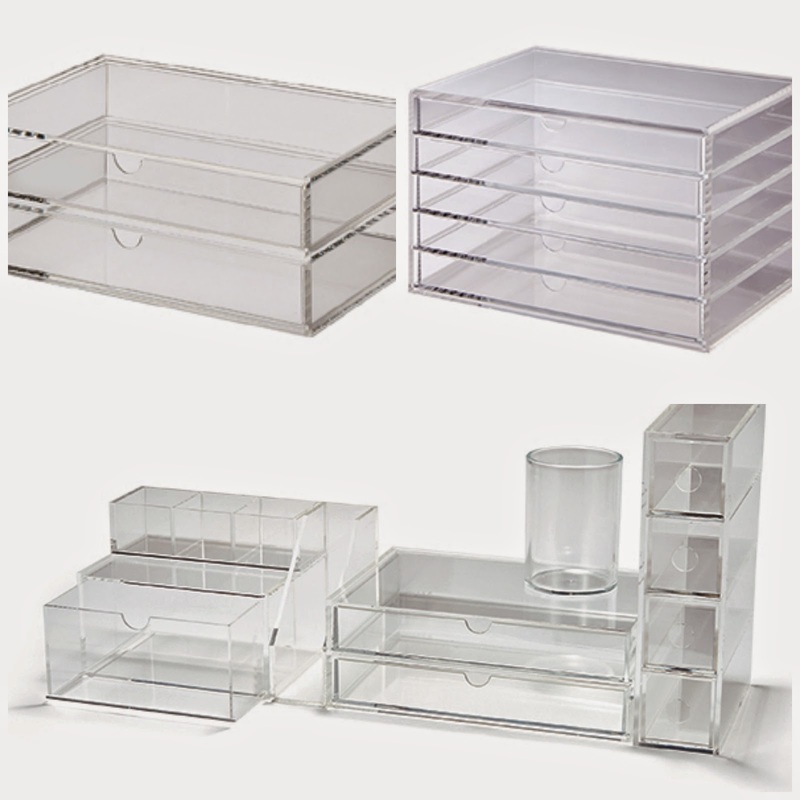 Muji storage has been a favourite with many beauty bloggers and vloggers for years, their clear acrylic boxes are a must have makeup storage item. This post is an edit of the boxes that I have and that I think are worth the money and hype. 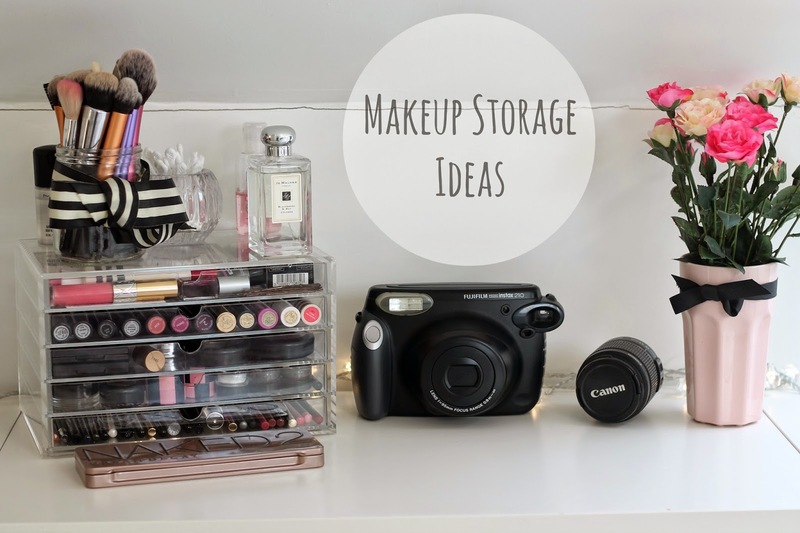 My muji storage boxes are an ever growing tower, I started off with the 5 Drawers – (£24.95) this was a great way of laying out my makeup in 5 easily accessible drawers on my dresser, but as my collection grew, so did my storage. The draws that come in the set of 5 are thin and shallow, they don’t fit most of my foundations and I sometimes found it hard to store paint pots by mac and also pots of gel liners in these draws. I then brought a set of 2 Drawers – Wide (£10.95) to go on the top of the 5 draws, this is where I stored my foundations, liner and paint pots. The draws are deeper and can fit in a lot more than the previous set. If you are just starting out and want a small set of draws to put makeup in I would recommend getting the set of 2 drawers because they are a lot deeper, and cheaper. I use my 5 draws to store lipstick, lipliners, eyeliners and pencil type products because it’s easier to lay them out and store. I get a lot more use out of the deeper set of draws. You can also get a 1 Draw – Wide – (£7.95) I also have this one in my muji tower, this is the same thickness as the 2 draws. I got this because at the time I didn’t want two extra draws because I didn’t have enough makeup but now my collection has grown and I have an extra set of the 2 draws on top of everything else. Pictures and a full makeup collection post will be up very soon, I’m still in the process of finalising my makeup storage and collection until I am somewhat happy with the outcome and I will share this with you. I hope you found this post helpful if you are looking to buy some storage from muji.